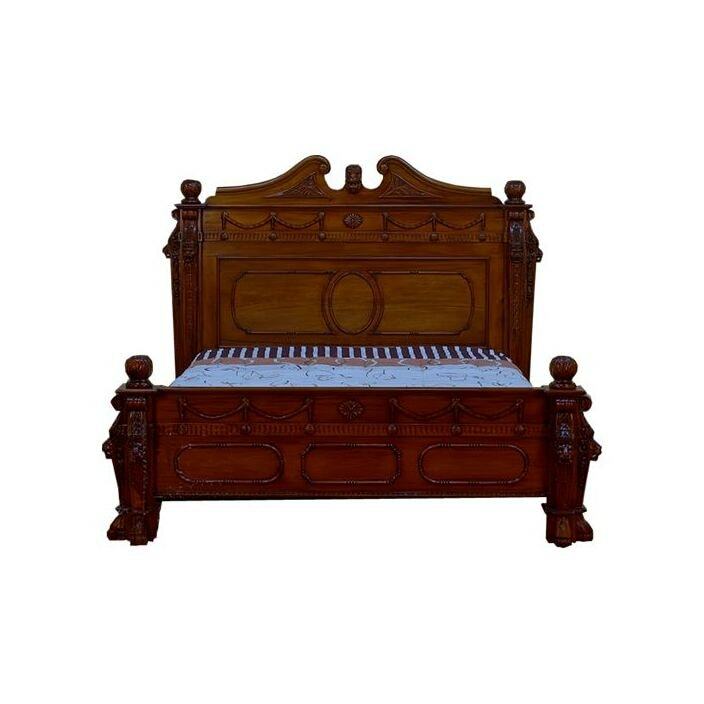 This antique French bed is a superbly ostentatious gothic bed. Festooned with hand carved detail, numerous lion's heads and all manner of decoration. As all of our items this bed is hand crafted using only the finest of materials to ensure you a quality well made product. Working well either on its own on complimented by our marvelous shabby chic furniture, you are sure to be impressed. This bed takes a continental mattress size of 150 x 190cm.